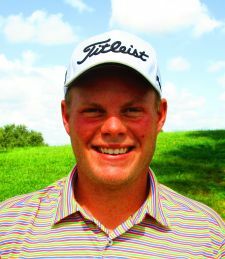 PLANTATION, Fla. – Jamie Sindelar of Horseheads, NY, played a mistake-free round of golf Monday enroute to winning for the sixth time on the Minor League Golf Tour. Sindelar scored two birdies on each nine of the East course at Jacaranda Golf Club, at Nos. 4, 9, 10 and 13 for a four under par 71. He earned $480 from the $1,420 purse. Carl McCauley of nearby Parkland, FL was second among 13 starters, making birdies on the last three holes for 68, followed by Jacob Eggers of Vilas, NC, at 69. McCauley, who has 15 career MLGT wins, birdied the last three holes. Eggers, who won three times last week, took third on 5 birdies, 2 bogeys and a double bogey. Three players chose to enter the optional 3-event bonus pool offered this week. 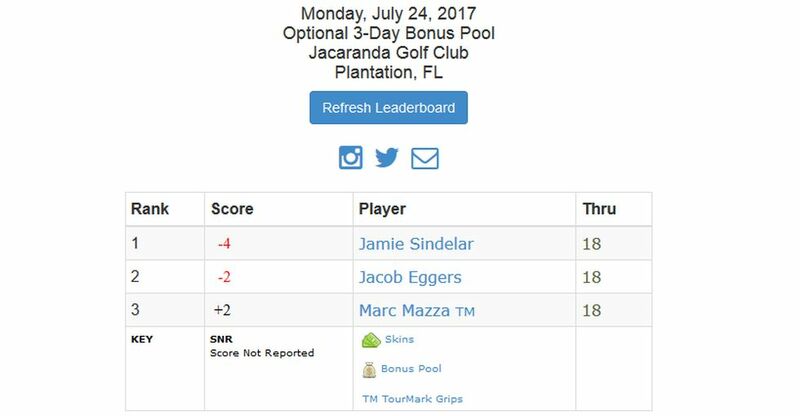 Those players that are competing in all 3 one day events this week at Jacaranda, Abacoa and Martin Downs had the option of putting up an additional $200 where 100% of the money goes into the purse and the top 40% earn a check. First place is $500, second $100. Here is how we stand after event one of three. The MLGT plays two more 18-hole tournaments this week, including No. 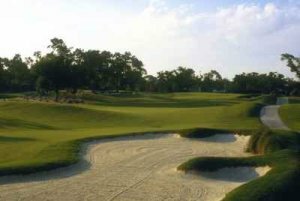 1,500 since beginning in 2004, on Tuesday at Abacoa GC in Jupiter, and Thursday at Martin Downs CC in Palm City.